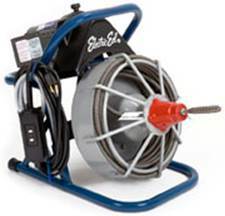 The Model E has several unique features such as a steel inner-drum, epoxy coated cage, cord wraps, and a rear bar for motor protection. 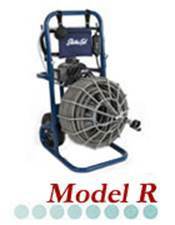 Unit holds up to 75 Ft. of 3/8″ or 1/2″ diameter “galvanized aircraft wire” inner core. 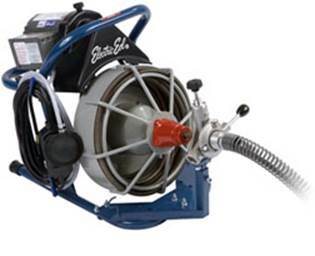 Cleans 1 1/4″ – 3″ diameter lines.